Pianist Christopher Harding maintains a flourishing international performance career, generating acclaim and impressing audiences and critics alike with his substantive interpretations and pianistic mastery. He has given frequent solo, concerto, and chamber music performances in venues as far flung as the Kennedy Center and Phillips Collection in Washington, D.C., Suntory Hall in Tokyo, the National Theater Concert Hall in Taipei, the Jack Singer Concert Hall in Calgary, and halls and festival appearances in Newfoundland, Israel, Romania, and China. His concerto performances have included concerts with the National Symphony and the Saint Louis Symphony Orchestras, the San Angelo and Santa Barbara Symphonies, and the Tokyo City Philharmonic, working with such conductors as Andrew Sewell, Eric Zhou, Taijiro Iimori, Gisele Ben-Dor, Fabio Machetti, Randall Craig Fleisher, John DeMain, Ron Spiegelman, Daniel Alcott, and Darryl One, among others. His chamber music and duo collaborations have included internationally renowned artists such as clarinetist Karl Leister, flautist Andras Adorjan, and members of the St. Lawrence and Ying String Quartets, in addition to frequent projects with his distinguished faculty colleagues at the University of Michigan. He has recorded solo and chamber music CDs for the Equilibrium and Brevard Classics labels. He has additionally edited and published critical editions and recordings of works by Claude Debussy (Children's Corner, Arabesques and shorter works) and Wolfgang Amadeus Mozart (Viennese Sonatinas) for the Schirmer Performance Editions published by Hal Leonard. 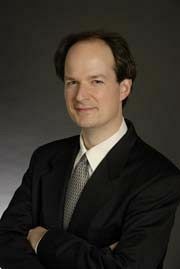 In addition to teaching undergraduate and graduate piano performance and chamber music at the University of Michigan School of Music, Theatre & Dance, Harding also serves on the faculty of the Indiana University Summer Piano Academy and is a frequent guest artist and teacher at the MasterWorks Festival in Winona Lake, IN. Recent summer festivals have also included the Chautauqua Institution in New York, and the Rebecca Penneys Piano Festival in Tampa, Florida. Harding was born of American parents in Munich, Germany and raised in Northern Virginia. His collegiate studies were with Menahem Pressler and Nelita True. Prior to college, he worked for 10 years with Milton Kidd at the American University Department of Performing Arts Preparatory Division, where he was trained in the traditions of Tobias Matthay. He has taken 25 first prizes in national and international competitions and in 1999 was awarded the special "Mozart Prize" at the Cleveland International Piano Competition, given for the best performance of a composition by Mozart. His current recording projects include the Brahms viola/clarinet sonatas and the clarinet trio, with clarinetist Dan Gilbert, violist Stephen Boe, and cellist Yeonjin Kim.